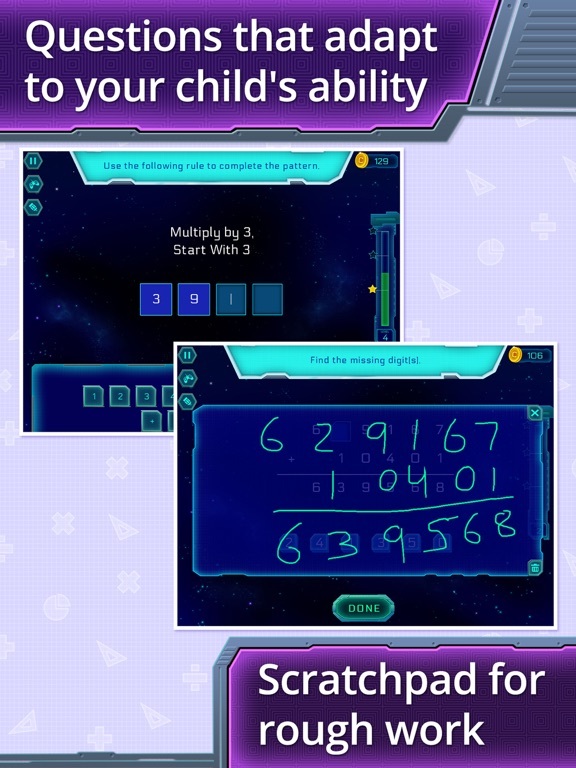 Give kids a space-age boost as they face fourth grade with the 4th Grade Math: Splash Math Worksheets App. 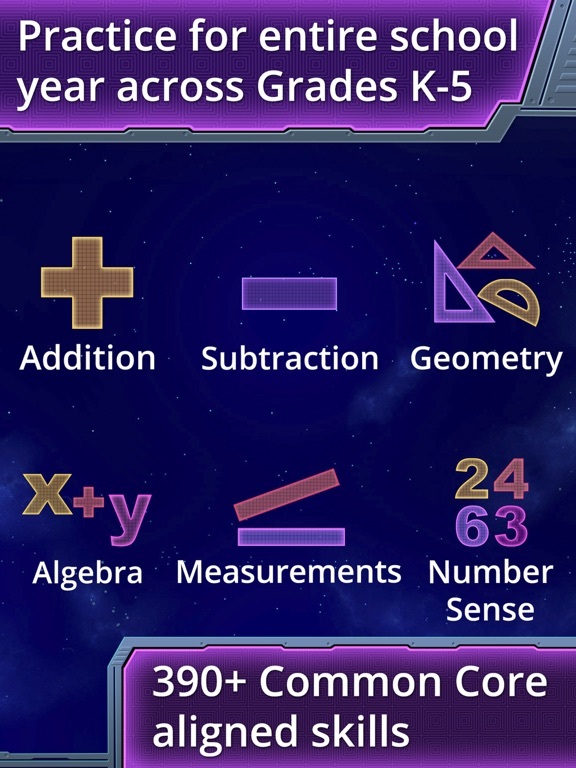 This high quality iPad app covers 10 different math topics straight from the fourth grade common core standards, so it lets you put the right material in their hands from day one. 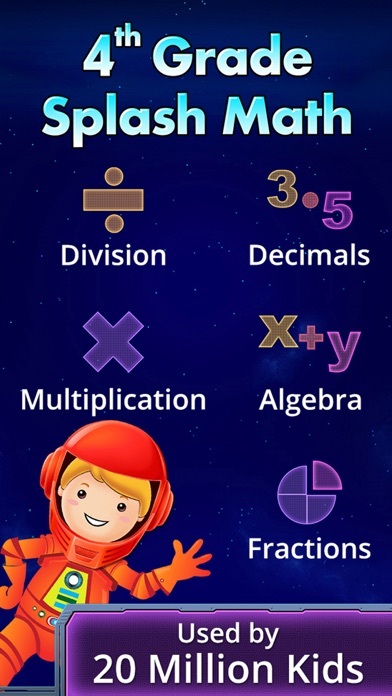 The Splash Math Worksheets App contains some fun touches for kids, like a vivid outer space theme (a big hit with my brood) and different avatars. It’s easy to use, interactive and has a ton of content: more than 140 worksheets that adapt to how your child learns. 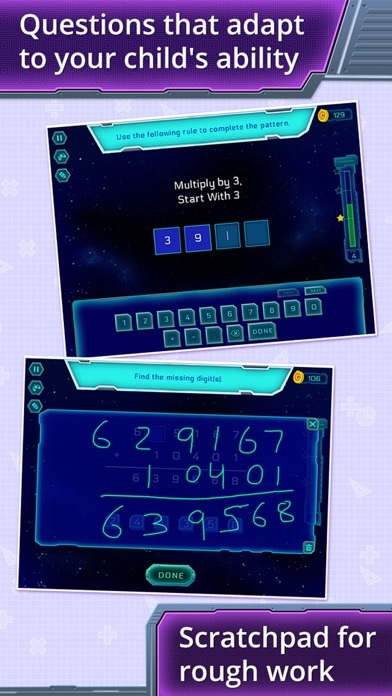 I especially think the 4th Grade Math: Splash Math Worksheets App works well as a refresher for kids as they enter 5th grade. It’s way too easy for kids to lose months of hard work over summer vacations, or even during shorter breaks on year-long schedules. 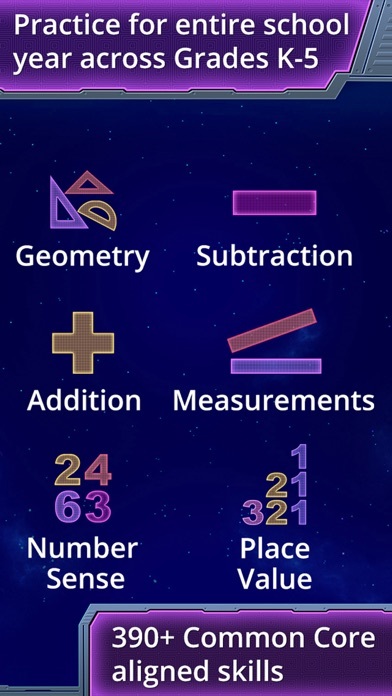 While it’s hard to make math fun, this app does give kids some extra visual interest and cool discoveries to make along the way. It’s also perfect for zeroing in on trouble areas thanks to a reporting feature that lets you know what topics could use some practice and how many problems they got correct. 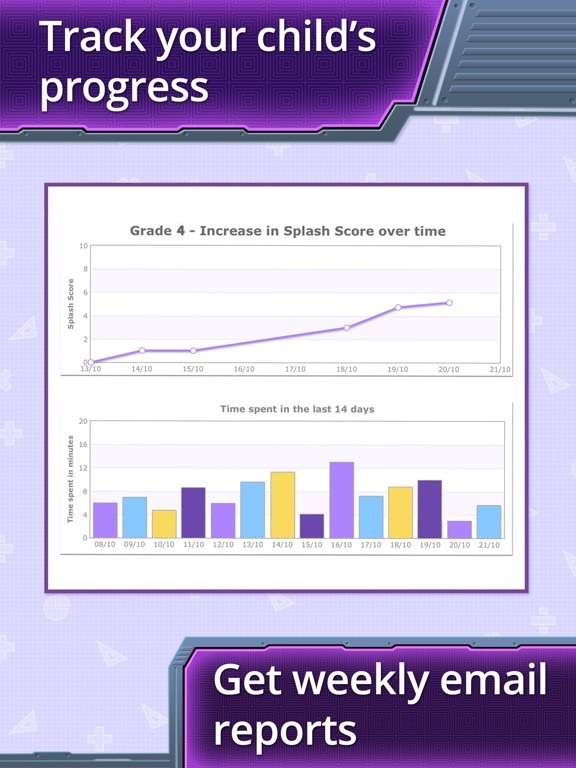 The app will even send you a weekly progress report via email and you can assign homework assignments right in the app to target topics. As a parent who asks a lot from her apps, I still wish this one would take it a step further with reporting. These chapters can get pretty long and involved, and if your child is having a problem with conversions the reporting feature won’t tell you whether it’s with cups to quarts or pints to gallons. You’d have to watch them practice to find that out. Then there’s the price. 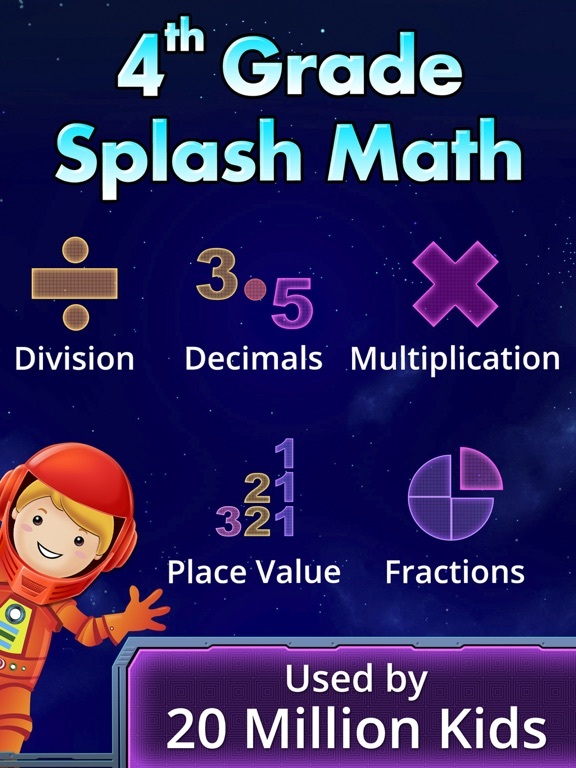 The 4th Grade Math: Splash Math Worksheets App costs $9.99. That’s a lot for an app, no matter how thorough and well-made it is. 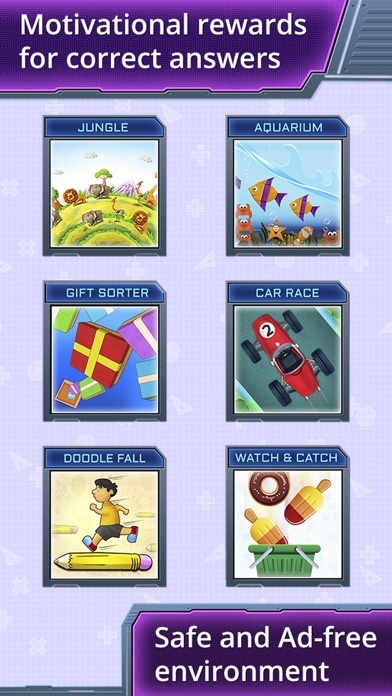 There’s also a tantalizing button that leads to links for other apps from the developer here, so it’s not entirely kid-friendly. I love the content and options of this app, but have a hard time with the price tag. If you’re looking for focused math help, it’s still much cheaper than a tutor. 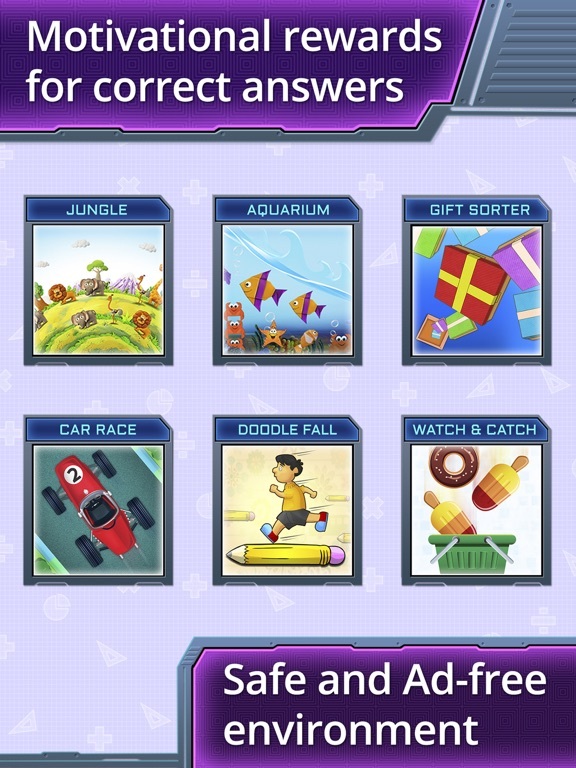 Correct answer with explanation : If the child gets an answer wrong, the correct answer and its corresponding explanation is shown making it easier for the child to grasp the concept. Assign homework : Parents and teachers can now assign homework by selecting worksheets in the “Control Room”. 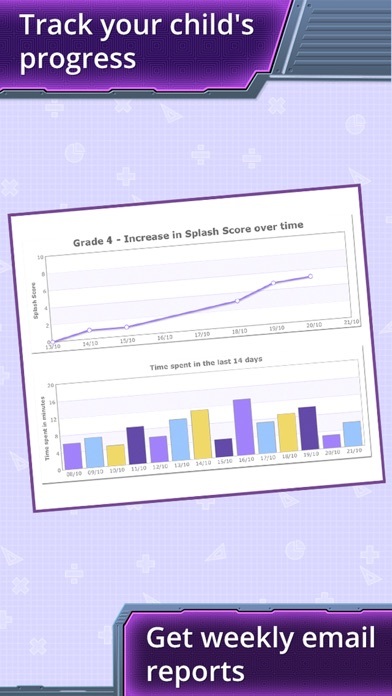 Grade levels : As the child completes worksheets and chapters, you can watch graphically the child’s grade level graduate from 4.0 (beginning of Grade 4) to 5.0 (End of Grade 4).